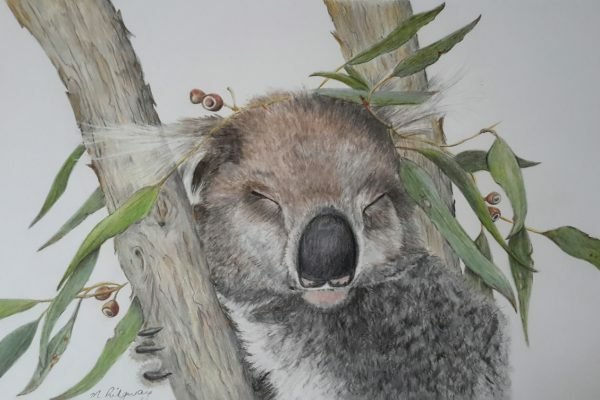 Michelle Ridgway – Queensland Wildlife Artists Society Inc. I was born in western Queensland but moved to the city as a child. With family and friends living in country regions, both bush and coastal, visits and holidays nurtured my love of nature and wildlife which lives on strongly in my heart today. As a child i was never without pencil and paper and hours could disappear sketching and drawing. With no art courses available at school my pencils only came out occasionally. Later in my life I became a designer of embroidery and stitcheries for quilts and textiles having had numerous commissions for several well known Australian craft magazines. I found myself immersed in drawing once again and loving it. Several years ago with children grown my husband and I began travelling this wonderful country of ours whenever the opportunity arose. We favoured the beautiful natural places. Observing unique wildlife was a magical part of these trips. I found I was truly inspired by these encounters and the places we had visited and began drawing some of the wildlife and flora. 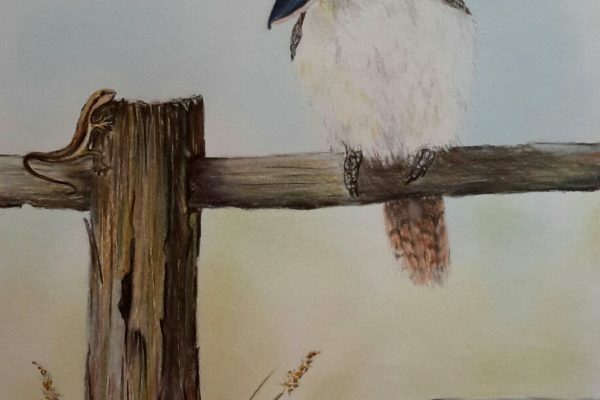 After attending an exhibition of the Queensland Wildlife Artists Society, I was very fortunate to be introduced to renowned wildlife artist Sandra Temple and undertook classes with her. A fantastic world of art and different mediums opened up to me. I was introduced to and I fell in love with coloured pencils. This is the medium I mainly work in. Although I love attending workshops in different mediums I seem to always come back to my lovely coloured pencils. I have recently begun classes in Scratchboard with Sandra Temple and I am enjoying them immensely. 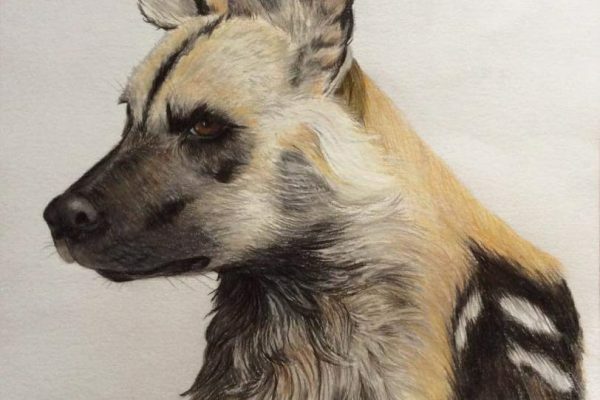 I love how this medium lends itself so beautifully to fur and feathers. I love drawing wildlife and my art in some way highlights our precious Flora and Fauna.